The panel stiles and rails on the SL80/81 are available as narrow as 1 7/8” wide. When the system is closed, the stiles where the folding panels meet measure 4 1/8” (104 mm) providing maximum views and minimum vertical obstruction. The system is offered with different profile options. The SL80 has a rounded softline profile and the SL81 has an angular profile. 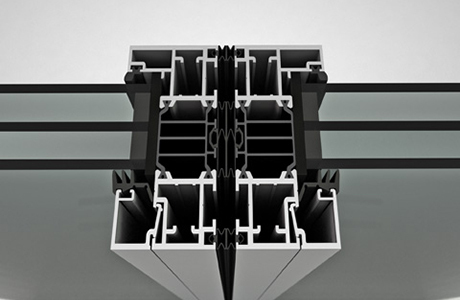 Superior U-Values are achieved with a specially designed web of polyamide plastic reinforced with glass fibers thermal break in panel and frame profiles that are 3 1/8” thick. 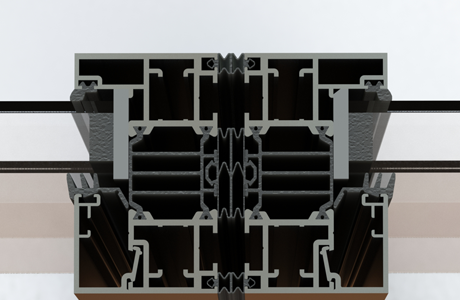 Multi-chamber profiles with 1 3/16” wide quadruple thermal insulation and cavities can accommodate either double or triple insulated glass provides the best heat insulation meeting the latest European Energy saving regulations (EnEV). The SL80/81 system with the higher weather performance sill has been tested by an independent acoustic lab for acoustical performance. Using double insulated laminated glass (with an STC of 47) on both sides, the SL80/81 system achieved a unit STC of 45. Using double insulated glass (with an STC of 38), the SL80/81 system achieved a unit STC of 38. 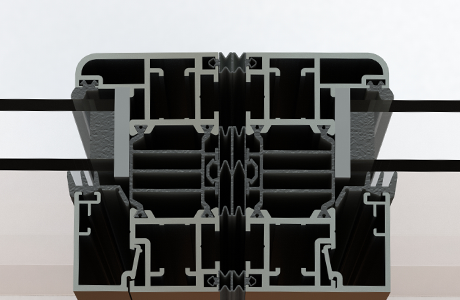 European testing with the higher weather performance sills for both inswing and outswing opening units achieved no leakage at 12 psf. This system is ideal for applications where load-bearing capability of the header is a concern. The system’s main weight is carried by the floor track. The upper track is merely a guide. Frame heights up to 10’ tall and panel widths up to 3’2” are possible. View size chart maximum height and width combinations. 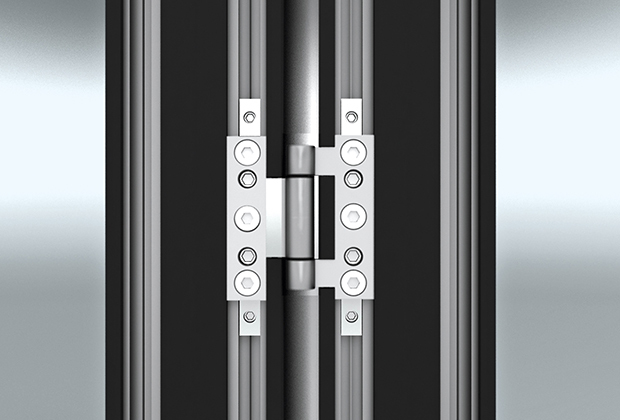 Even after installation, the hinges on the SL80/81 are adjustable in both vertical and horizontal directions. 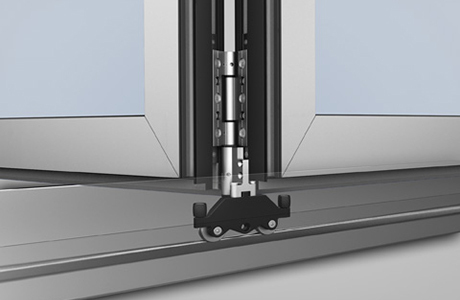 The folding glass doors can easily be height adjusted by about 8 mm which is important if building settling occurs. Stainless steel hinge pins and screws are used.